Just like many others, Mackenzie’s path to IUPUI and to finding her major was a rocky one. After starting her college career at Indiana University East, taking classes at Ivy Tech, and transferring to IU Ft. Wayne, she finally found her way to IUPUI in the fall of 2015. Mackenzie says she “was all over the place,” switching from nursing to biology to dental hygiene to EMT, thinking she had no clue what she wanted to do in life. 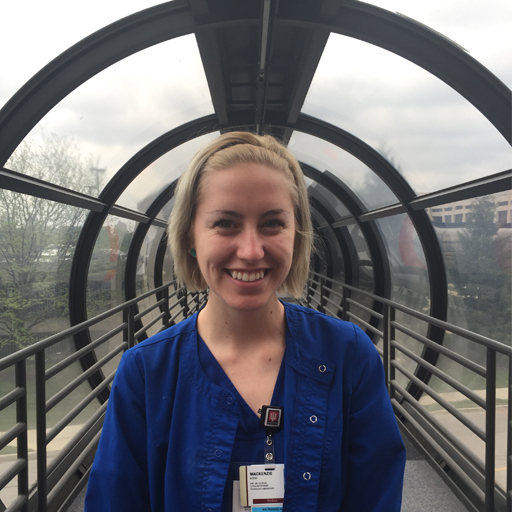 When Mackenzie started at IUPUI, she first sat down with Health and Life Sciences Advising Center career consultant, Keely Floyd. Keely went over a lot of different options with Mackenzie and eventually helped her find cytotechnology, which was a field that interested her and was also an area that provided her the potential to grow. Mackenzie feels that meeting with a career consultant was truly where her journey began! It is possible to accomplish any goal, but you have to really want it! Working toward a competitive program can be very stressful with all of the prerequisites, the application, occasional interviews, and then waiting to hear the results. Mackenzie said, “When I got my letter in the mail the first sentence read ‘We are sorry to inform you . . .’ and my heart sank.” She was the first alternate on the waitlist, but within a week of receiving the letter, she was notified that someone had dropped their spot, and she was accepted! Mackenzie was eventually accepted into the cytotechnology program with a 2.7 GPA and says after her first semester in the program she is already up to a 3.0 GPA. Mackenzie said, “it is possible to accomplish any goal, but you have to really want it!” She is now working this semester to make the grades to possibly attend graduate school after she finishes her bachelor’s degree.